Add a fancy feel to your look with this beret! It features a slouchy round crown, a self-tie bow detail, and a lettering embroidery for contrast. 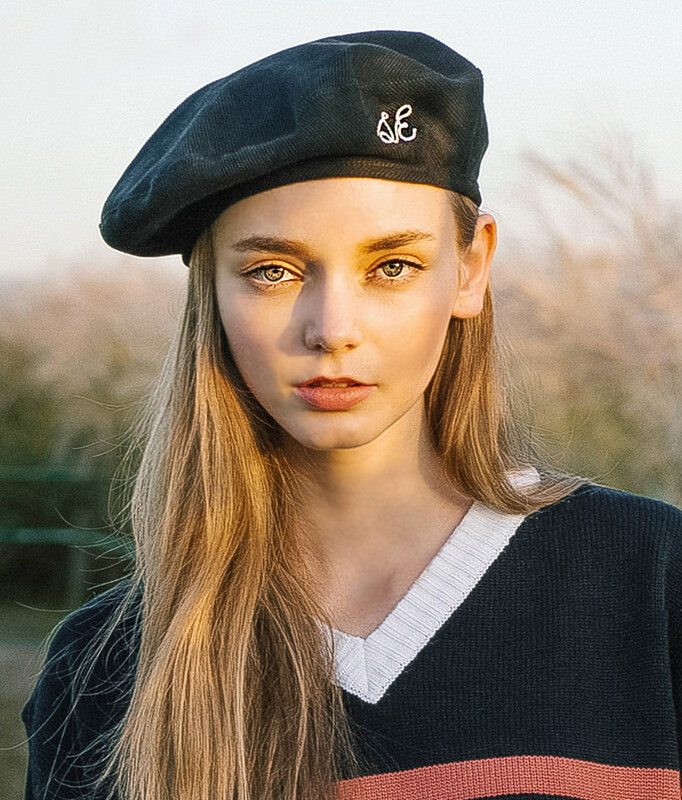 Wear this beret to finish off your cardigan-and-skirt look.